The new site design is done and I have to say, I’m very happy with it. All the same great information on understanding shyness and social awkwardness is still here, but I think in a much easier to digest format. One of the issues I had with the previous design was clutter. It was just too noisy. Besides that, this design loads a little faster. The end result is I’m hoping it’s a more valuable resource for anyone who wants to start building their social skills and feeling more confident and outgoing. So obviously I’m happy with the site, but please let me know what you think in the comments. I’ve been talking about making Friendship Blueprint available to everyone as a new product for a while, and I’m in the final stages of that now. I’ve completely reworked the book to be more step by step and easy to follow. So even if you’re not that confident socially, I feel the new version of the Friendship Blueprint will help you find and make some genuine new friends. I don’t have an official release date for you yet, but keep an eye on this blog for more information. I also have a goal (starting this week), to create at least one new article on improving socially every week. I’ve been far too inconsistent with this in the past, and I want to fix that. So if you haven’t already, you can go here to sign up for blog updates OR just sign up for my free newsletter to get blog updates PLUS lots of other exclusive tips on being more confident and outgoing. I’ll continue to post articles with insight on the problems that cause self-doubt and lack of confidence socially. 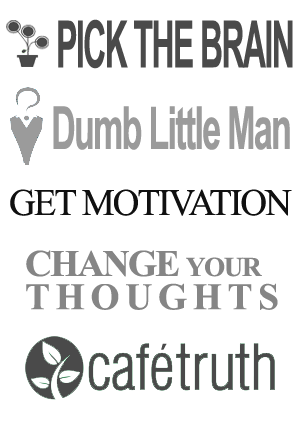 But I plan on creating general personal development articles too on subjects like motivation, lifestyle improvement, achievement and more. The reason is the process of improving yourself and your life is directly related to feeling more confident socially. No you don’t have to be perfect or even much different than you are currently to do well socially. But striving to bring your life more in alignment with your own values and standards is a huge boost to self-esteem. And a higher sense of self-confidence makes meeting new people much easier. Not only that, living a lifestyle that is full and varied and interesting to you makes you much more interesting to others. If you have any topics or questions on social success you’d like me to cover, please let me know in the comments below or by using my contact page. A little further out on the horizon, after the release of the new Friendship Blueprint, I plan on releasing my own course on feeling confident in conversations. I’ve learned a lot about this over my life and especially over the past two years creating Conversation Skills Core. See my experience of improving socially has shown me that just learning social tricks and techniques doesn’t cut it. Just learning how to, for example, hold eye contact a little longer than normal or bring up certain topics in conversations isn’t enough. Those types of tactics can and do help, but I’ve found they often don’t lead to deeper friendships. And many times this is because the person who seeks out and uses these types of tactics has deeper issues holding them back. If this is you, then maybe you look for some body language technique to do better with people but the real issue is you feel something is wrong with you or that you’re unlovable. Not only that, but most courses I’ve bought present so many different “techniques” to do well in conversations that it’s freaking confusing. You read these courses, go out to use what you’ve learned, but you’re overwhelmed. You have so many different ideas and tricks in your head, you end up freezing and not doing anything. Or even worse, you end up behaving weird and even more unnatural than ever before. Instead of being the ideal version of yourself, you become a social skills performer who is still just trying to get people to like you. So the course I eventually create will contain the 20 percent of skills that give you 80 percent of the results. AT the same time, it will also address the bigger inner issues sapping your confidence. But again, I’m in the beginning stages of putting the course together now. I’ve been tweaking and testing these methods for a few years now (and even more if you count the years before that of my own social life improvement). Well that’s a quick update from me. Stay tuned for more great articles in the coming weeks and let me know what you think of the site redesign (and/or any suggestions for article topics) in the comments section below. How Can I Make New Friends (When I Can’t Seem to Bond)?